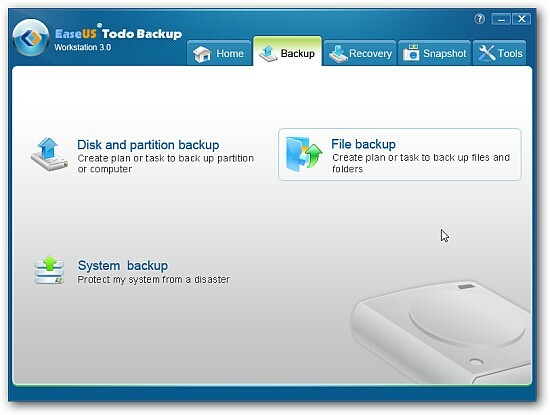 Scroll down to win one of the ten licenses of EaseUS Todo Backup Workstation (worth $39 each) that I am giving away. Cloud based backup solutions are quite the rage these days. In the past, I have reviewed quite a few cloud backup solutions including Carbonite, Syncplicity and Mozy. Using a cloud backup solution allows you to access your data from anywhere and everywhere without having to worry about keeping your backup disk secure. All of you have to do is, install the client, and create a few rules. Everything else is normally taken care of by the client. However, cloud backup becomes untenable if the quantity of data you are dealing with is huge. Unless you are one of the privileged few with a massively fast internet connection, restoring large bulks of data can be time consuming. Even more importantly, in order to be able to take advantage of cloud backup solutions, you have to be willing to trust third parties with your confidential data. The final disadvantage of cloud backup solutions is that they only backup data. System state or applications can’t be backed up using any of these solutions. EaseUS is a fairly well-known name thanks to its suite of data backup, recovery, and management utilities. 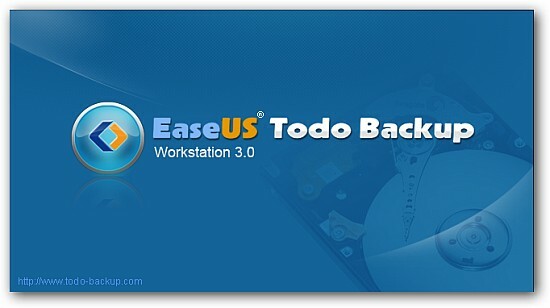 If you believe that the cloud based backup solutions are not a good fit for you, then EaseUS Todo Backup Workstation is what you should take a look at. System Backup: As the name suggests, this mode will create a snapshot of your system including the operating system state and installed applications. This is somewhat similar to Windows’ inbuilt system restore feature, and can help in recovering from crashes and malware infections. One particularly interesting and impressive feature is Universal Restore. Typically system snapshots are hardware dependent since they also include hardware driver backups. However, EaseUS has a “Recover to dissimilar hardware” mode, which can restore system snapshot to an entirely different system. You will be able to manually specify the hardware drivers for the system if they are not present in the snapshot. File Backup: This is probably the mode that you will be using most often. You can create well defined backup plans to automatically backup changes made to files residing in specific partitions or folders. This is similar to the functionality that cloud backup solutions offer. There is also an additional Clone Disk mode, which backs up the system state, applications, and all files present on the disk. Full backup: The entire content of the file is backed up. In order words, a copy of the file is created. Incremental backup: This essentially implements versioning by backing up and maintaining different versions of the file. The obvious benefit is that less storage space is utilized, as only a full backup of the initial state is stored along with the subsequent changes. However, restoring an incremental backup takes more time as “the first full backup and every incremental backup must be restored”. Differential backup: This takes a middle ground to balance space consumption and recovery speed. The change file maintains a record of all changes made with respect to the first full backup file. Thus, while restoring only the full backup and the selected differential backup file needs to be restored. Conversion of backup images into VmWare of Virtual PC compatible images. Support for direct mounting an image to explore and copy files present in it. Comprehensive backup triggering rules based on date, time, and events. A pre-OS recovery mode that can kick in before Windows is loaded. WinPE based bootable recovery disk, which can be utilized to restore system in case of a Windows crash. 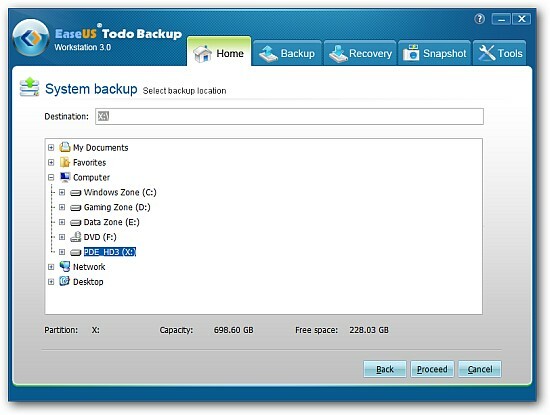 EaseUS Todo Backup is an incredibly sophisticated and polished backup solution that should be offers a complete solution for home and business users. 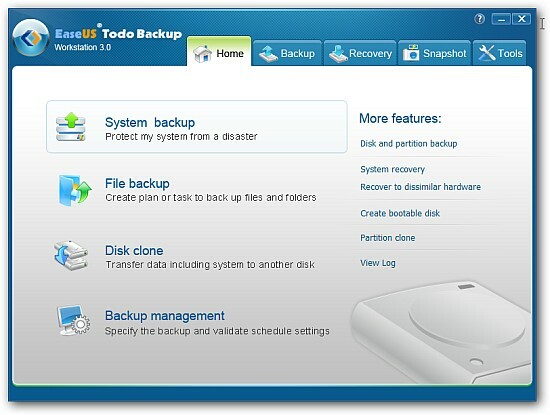 In spite of being feature packed and powerful, Todo Backup is fairly simple to use thanks to its well thought out interface. Using a desktop based solution generally requires a larger investment than cloud based alternatives. However, they have their own advantages that I have already discussed. If a desktop based backup solution is what you are looking for, go ahead and take EaseUS for a spin. It’s one of the best in its class. 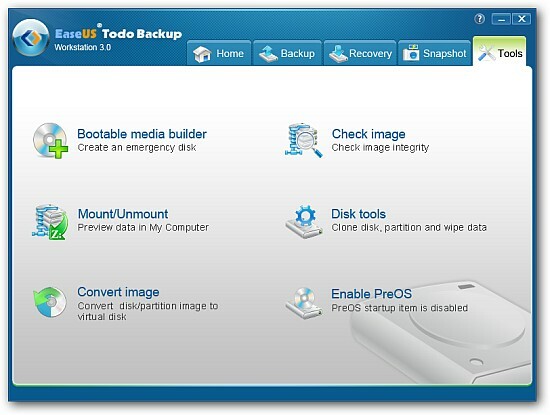 A free version of Todo Backup is also available, which offers all the features discussed above other than System snapshot and built-in Windows PE bootable disk. EaseUS is sponsoring ten licenses worth $390 (each license is worth $39). Needless to say your odds of winning are extremely good since we are giving away as many as ten licenses. You can also blog (post in a forum) about this contest to get 2 additional entries. Once again, you must leave a comment with the URL of the blogpost. Please don’t spam, or violate rules of the board to promote the contest. The contest will end on Oct 2, 2011 at 12:00 Noon IST. * Under all circumstances my decision shall be final and binding. This seems like a really promising software for me I hope I am able to get to try this soon. Thanks for this great giveaway, really great BackUp and Recovery software and for the chance to win! Thanks & Regards. Thanks for the opportunity that’s given! Thanks for the info, i have been looking for a good backup program. I have been doing it the old fashioned way for far too long now. This looks a good program, always a good idea to backup your data somewhere safe. Nice post dude. Started blogging again??? It’s good to see people write should detailed reviews. It always amazes me the time people are willing to put in for no money. Thanks guys, really appreciate the efforts and time. Please provide me a license. Arrow You can also blog (post in a forum) about this contest to get 2 additional entries. Once again, you must leave a comment with the URL of the blogpost. Please don’t spam, or violate rules of the board to promote the contest. Looks a very useful workstation, thanks. Great contest thanks for the opportunity. It is very useful when you travel outside for business. If I was on twitter I would be able to enter, but that is one social medium I just don’t get . So were the winners announced? Sorry. I sent the prizes to the winners, but didn’t get around to announcing them on the blog. I have done so now. Cool thanks Congrats to the winners! Looks like a really great workstation. Congrats to the winners. And thanks for the review Pallab. Every day, I would like to take backup of my important data because I do not want to lose it. This good software which provides different types of backup like system backup, file backup, etc. is excellent for security of data. Cloud backup was a harder task for me, I hope by this solution I will give good judgment to cloud backup. I have been looking for such information that i found in your article. Looks like a great program. I think this could really come in handy. Thanks for the review Pallab. Cloud based backup solutions are saving on time as well as obtaining access from anywhere,which is an important feature needed in today’s technology.